SoRelle’s research explores how the development, design, and implementation of public policies shape the political behavior of both elites and ordinary Americans. She pays particular attention to policies designed to regulate the economic, social, and political behavior of American citizens and firms. 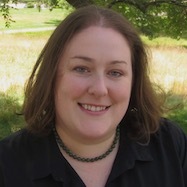 Motivated by events surrounding the 2008 financial crisis, her current work examines how the development of a U.S. political economy of credit influences policymakers', public interest groups', and citizens' engagement in the politics of consumer financial protection and the consequences of that engagement for both political and economic inequality. She has worked in consumer legal advocacy and electoral politics. "Both Democrats and Republicans Care about States’ Rights - When it Suits Them," Mallory E. SoRelle (with Alexis N. Walker), The Washington Post, June 23, 2017. "Partisan Preemption: the Strategic Use of Federal Preemption Legislation" (with Alexis N. Walker). Publius: the Journal of Federalism 4, no. 1 (2016): 486-509. Explains how federal lawmakers from both parties have increasingly preempted state power across a number of policy areas, with Democrats doing so to expand regulation across the states and Republicans attempting to curtail it. "Policy Feedback" (with Suzanne Mettler), in Theories of the Policy Process: 3rd Edition, edited by Paul Sabatier and Chris Weible (Westview Press, 2014), 151-182. Provides a review of the existing work on policy feedback effects while outlining important avenues for future research. "New Burdens but Few Benefits: An Examination of the Bankruptcy Counseling and Education Requirements in Massachusetts," (with Deanne Loonin and John Rao), National Consumer Law Center, June 2007. Examines the efficacy of the counseling and education requirements introduced by the 2005 Bankruptcy Abuse Prevention and Consumer Protection Act (BAPCPA).